Some interesting items in our newsletter for November 2012 but first a reminder for our reunion gig of the year! VERY PRETTY BUT NOT ROCK ‘N’ ROLL! 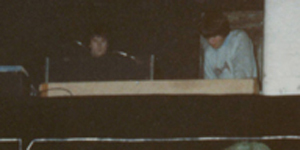 After the Granary closed in 1988 several companies put forward plans to the Council of renovations that they considered possible. Here are a couple of artists impressions of their “new look” Granary which failed to come to fruition that we’ve been able to add to the Granary archives.They seem to have left out somewhere to park one’s Harley Davidson ! Keep in touch with the Granary-Bristol facebook page and post your favourite classic rock tracks. 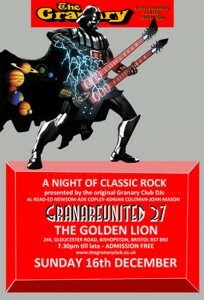 Copy this and send it to all your friends and please keep the Granary alive and well by supporting Granareunited 27 at the Lion on the 16th December. Love & peace, Al & Ed. Posted by Al	on Nov 20th, 2012	and is filed under 8.